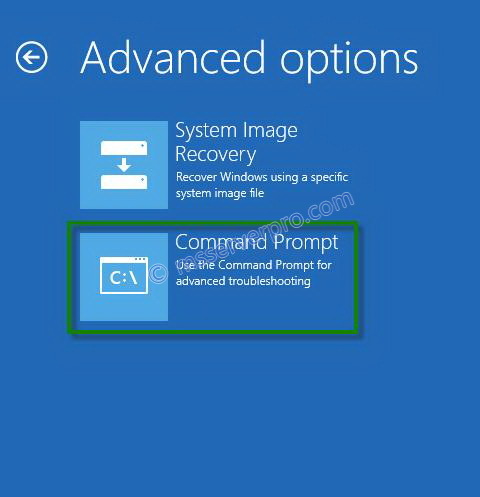 Part 1: Reset Windows 10 Local Admin Password using Command Prompt Command prompt is a powerful but a difficult tool which can swiftly reset your admin password using certain command lines. But since your computer is inaccessible due to being locked from …... Home Hacking Tutorials Changing Administrator Password using Command Prompt(CMD) Changing Administrator Password using Command Prompt(CMD) After reading this post, you’ll be able to change your(or anyone’s) Administrator account password in windows 7, without asking him the previous one. 26/01/2015 · Replace utilman.exe with the Windows command prompt First you need to identify on which drive Windows is installed! Enter a letter at random to access the respective drive and use the “ dir ” command to list its content. 6/03/2018 · At the prompt you can now change the password, by typing the following command: net user administrator Password123 This will set the password for the Administrator user to be Password123 (case sensitive). Run Command Prompt as Admin using the Bottom Left Hot Corner The start menu in Windows 8 has an alternative menu if you use a right click instead of a left click - but only if you have the "Bottom Left Hot Corner" enabled (this is enabled by default if you did not use an alternative Start menu for Windows 8).